John Rolfe, a colonist from the Jamestown Settlement, was the first to grow tobacco in America. He arrived in Virginia with tobacco seeds procured on an earlier voyage to Trinidad, and in 1612 he harvested his inaugural crop for sale on the European market. Rolfe’s tobacco operation was an immediate boon for American exports, and English demand increased dramatically when cheap American leaf depressed prices. 15 years after Rolfe’s first crop, English imports of American tobacco had reached almost 500,000 pounds per year, and by 1670 half of the adult male population in England smoked tobacco daily. The tobacco economy in the colonies was embedded in a cycle of leaf demand, slave labor demand, and global commerce that gave rise to the Chesapeake Consignment System. American tobacco farmers would sell their crop on consignment to merchants in London, which required them to take out loans for farm expenses from London guarantors in exchange for tobacco delivery and sale. Further contracts were negotiated with wholesalers in Charleston or New Orleans to ship the tobacco to London merchants. The loan was then repaid with profits from their sales. American planters responded to increased European demand by expanding the size and output of their plantations. The number of man-hours needed to sustain larger operations increased, which forced planters to acquire and accommodate additional slave labor. Furthermore, they had to secure larger initial loans from London, which increased pressure to produce a profitable crop and made them more financially vulnerable to natural disasters. In the Chesapeake and North Carolina, tobacco constituted a major percentage of the total agricultural output. In the Deep South, cotton and rice plantations dominated. Stark diversity in the geographic and social landscapes of these two regions contributed to differences in their respective cultures. The Chesapeake had relatively few urban centers relative to the South. Instead, multiple markets were established along tributaries. This facilitated the persistence of smaller tobacco farms because the cost of moving tobacco to market was kept reasonable. In the south, all economic activity fed through a few heavily centralized markets, which favored large plantations that could bear the higher transportation costs. Differences in plantation size also owed significantly to the different demands of tobacco farming versus cotton and rice. Cotton and rice were cash crops, and cultivation was geared towards maximizing volume. Diminishing returns take effect on harvest quality past a certain threshold of labor investment. Tobacco, however, was considered to be more artisanal and craft-like, with limitless opportunity to improve the yield and quality. Thus, the most profitable cotton and rice operations were large and factory-like, while tobacco profits hinged on skilled, careful, and efficient labor units. A culture of expertise surrounded tobacco planting. Unlike cotton or rice, cultivating tobacco was seen as an art form, and buyers understood that behind every crop of “good” tobacco was a meticulous planter with exceptional skills. Tobacco shipments were “branded” with a signature unique to its planter before they were sent overseas, and guarantors regarded brands as a seal of approval from the planter himself. One planter proclaimed of his branded tobacco, “it was made on the plantation where I live and therefore as I saw to the whole management of it my self (sic), I can with authority recommend it to be exceedingly good.” Even though not necessarily participating in the manual labor, planters took great financial stake in their final product. In conjunction with a global financial crisis and growing animosity toward British rule, tobacco interests helped unite disparate colonial players and produced some of the most vocal revolutionaries behind the call for American independence. A spirit of rebellion arose from their claims that insurmountable debts prevented the exercise of basic human freedoms. 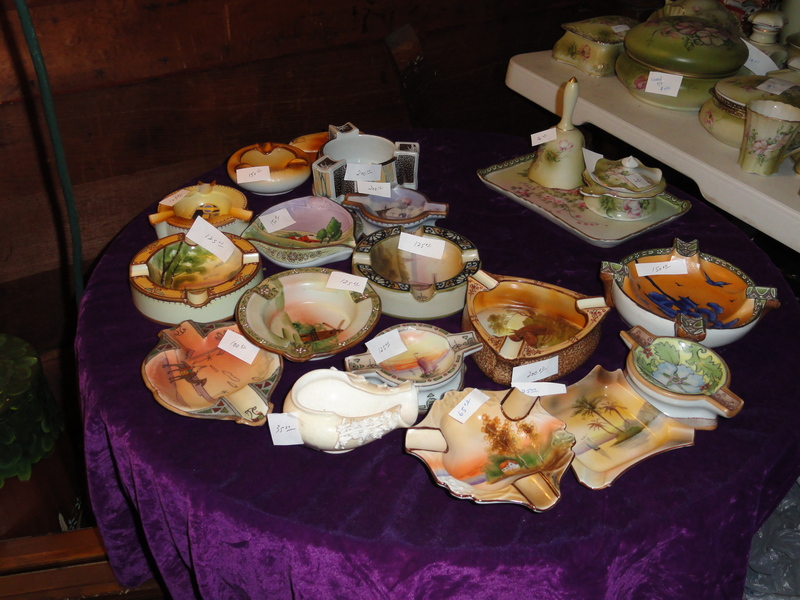 Collectibles of tabacciana are varied and many. 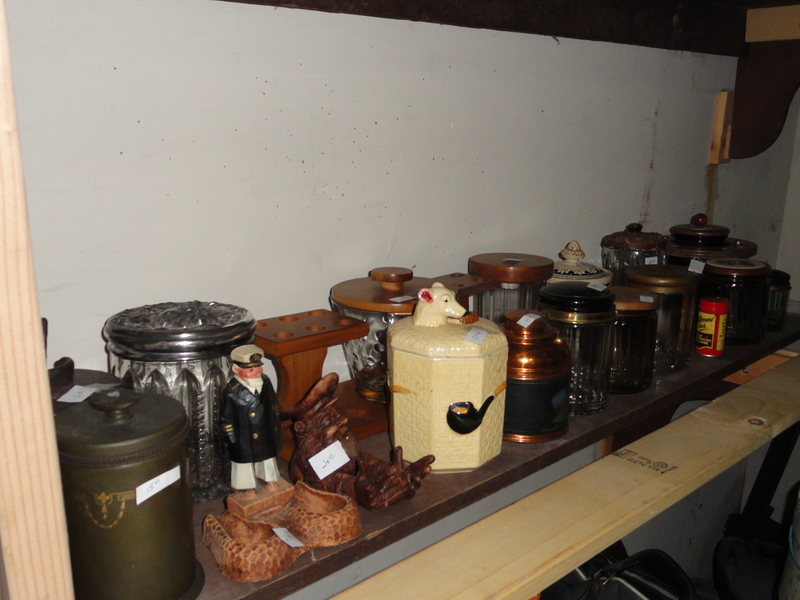 Many items such as pipes, humidors, ashtrays, advertsing items etc. are just a few. The tobacco industry is ingrained in our society from almost the beginning of our nation and helped to provide wealth to America in it’s quest for freedom. 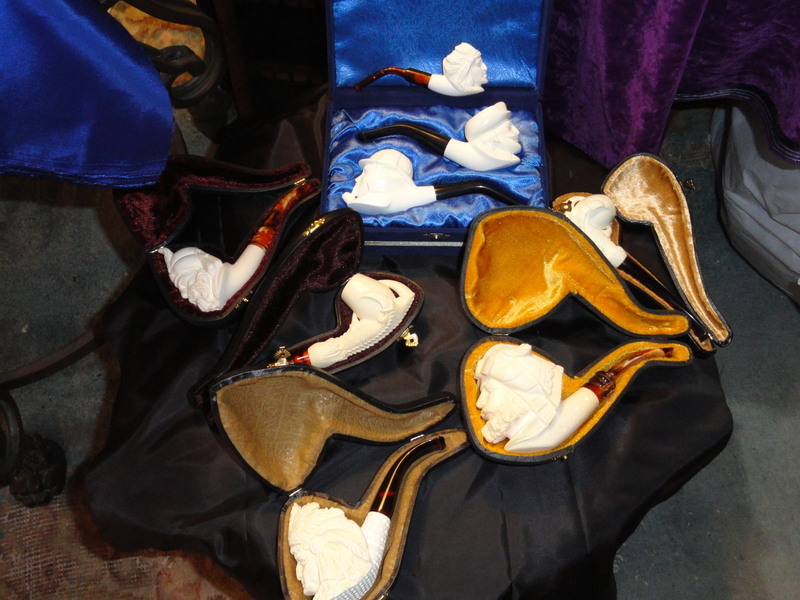 Over the next month I will be marketing many items from my extensive collection of tobacciana, most notably pipes, humidors and ashtrays. 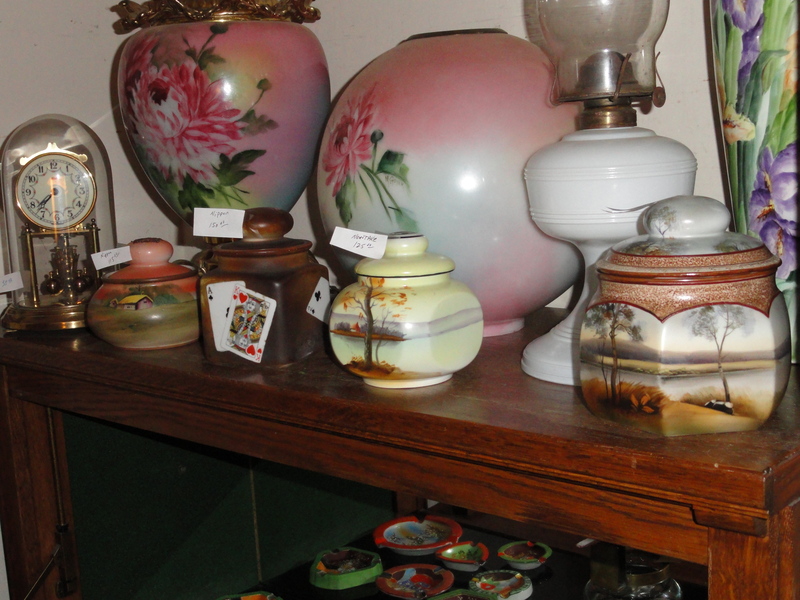 Much of my collection is also part of my asian collection of Nippon. 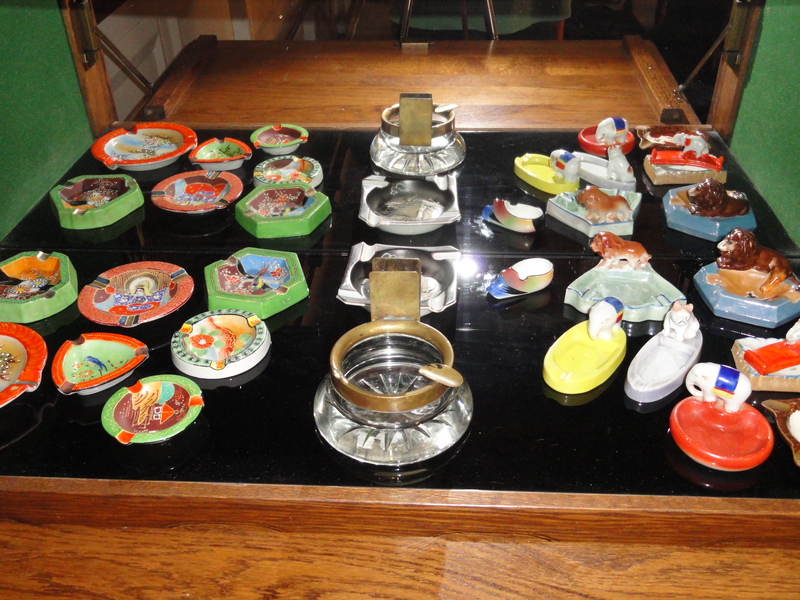 Ashtrays – Nippon, Japanese Enamel Moriage, and Lusterware. 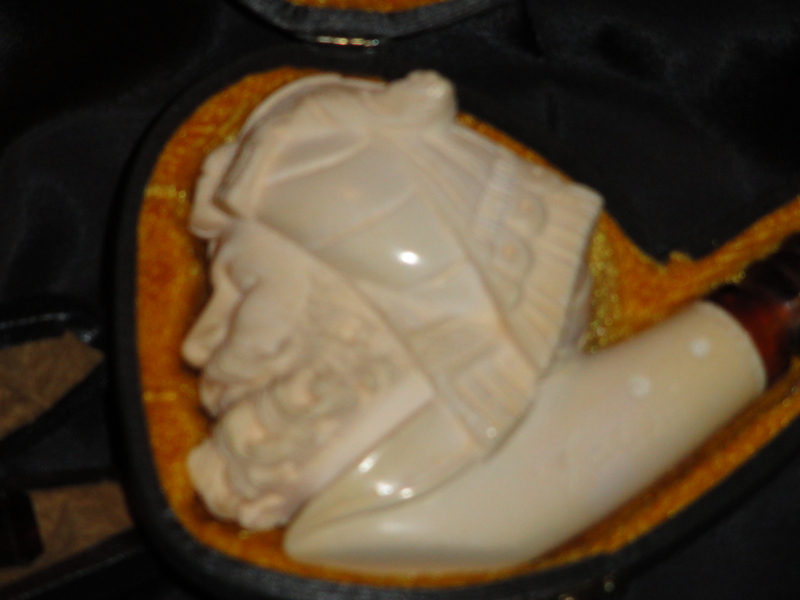 Hand Carved Meerschaum Pipes from Turkey.